Dr. Xi-Ru Wu is a distinguished research fellow from the Medical School at the University of Minnesota. Dr. Wu was a research fellow in the Pediatric Neurology Division of the Department of Pediatrics at the University from 1979 to 1982. Dr. Wu is currently professor of pediatrics at Beijing Medical University and, from 1984 to 1999, was director of pediatrics at the First Hospital at Beijing Medical University. 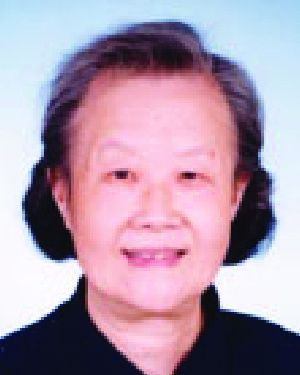 She is also the honorary president of the Chinese Pediatrics Society and chairperson of the Society from 1998 to 2002. Dr. Wu is also the chief editor of the Chinese Journal of Pediatrics and executive board member of the Chinese Neuroscience Association. Dr. Wu, who graduated from Beijing Medical College in 1955, is one of the leading Chinese researchers in the field of the genetics of epilepsy. In September 2002, Dr. Wu organized a joint meeting of the 9th International Child Neurology Congress and the 7th Asian and Oceanian Congress of Child Neurology. This was the first time that the Congress was held in China. Dr. Wu was the first Chinese pediatric neurologist to diagnose Landau Kleffner syndrome, Rett syndrome, and mitochondrial encephalomyopathy. She has initiated close collaboration with colleagues in Japan and has sent a number of young pediatricians for advanced training in Japan and Hong Kong. She has also published five textbooks on the topic of pediatric neurology, a field that previously had been documented very little in China. In naming Dr. Wu as a winner of the Distinguished Leadership Award for Internationals, the selection committee cited her pioneering work in the field of child neurology in China and her influence as a researcher and teacher in the field. Dr. Wu is widely known and respected in her field, not only in Asia but internationally, and continues to be a role model and mentor for young pediatricians in her country.